Three galleries were devoted to work by Houston-based artist Delita Martin. 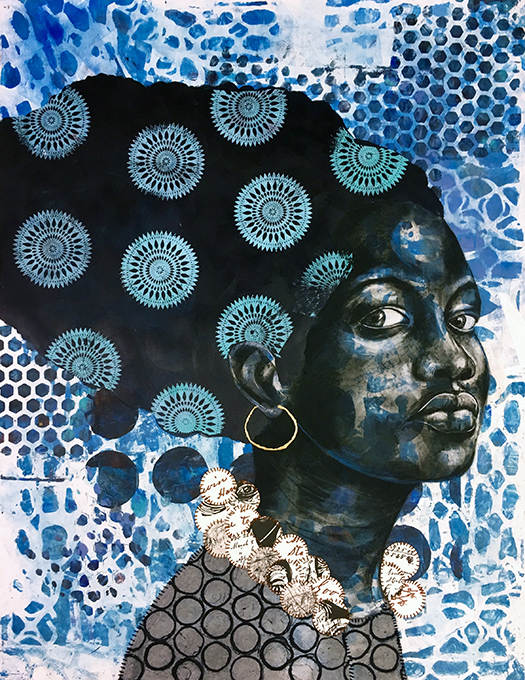 Two collections of her powerful, large-scale portraits of women of color were on view in the entry and main galleries in the exhibitions I Walked on Water to my Homeland and her recent series, Night Women. 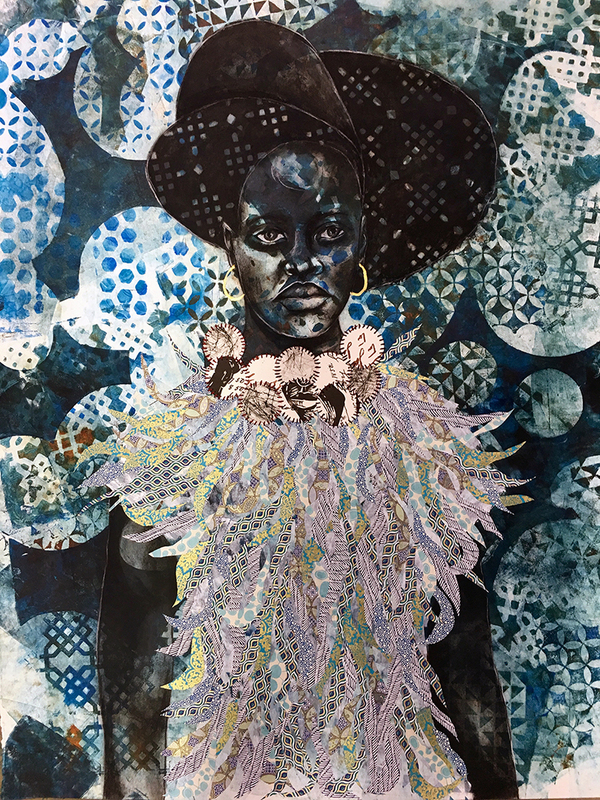 They combine printmaking, drawing, painting, collage, stitching and the application of found objects to create portraits of various women in her community. Please click here to view the handout for this exhibition.